Living For Later - Page 46 of 47 - Cultivating intimacy with God. Building a family grounded in truth. Take me to the place where I don’t matter. Take me to the place where I am not easily offended. An offense is often present when I think too much of myself…How dare they, do they know who I am? Consume me Lord. Fire of God burn it out. Restore every broken place. Take me to the place where I don’t even notice if I am not noticed! To that place where I am not waiting to hear my name mentioned. TO that place of not caring if I look or talk the part. TO that place where no one, not even me matters, ONLY YOU! God I am so far from that place and only you can bridge this gap. I know that you are not asking me to get to this place on my own, because in my strength it is impossible. You were waiting on me Lord. Waiting on me to desire true humility, waiting on me to be disgusted with pride, my personal pride. God hear the cry of my heart, the deepest places that no one else sees but you. All of you Lord and none of me. Here I am, forgive me. I’m amazed at how God can create strength during a season of difficulty. I was at the hospital last night visiting Faith (baby # 6) and I had an opportunity to connect with another mom whose son was also in neonatal intensive care unit (nicu). 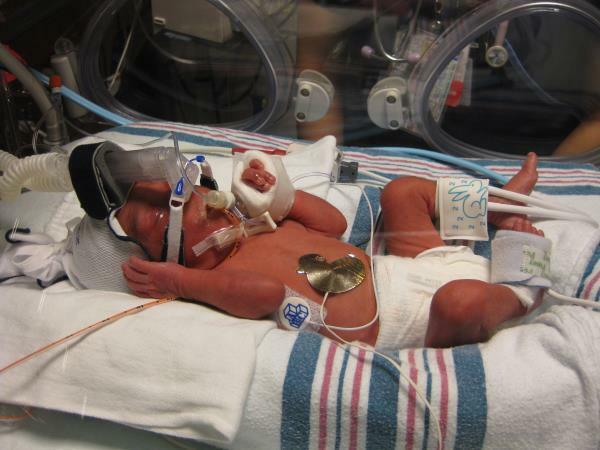 We swapped our stories and the stress associated with having a newborn in the nicu. We were both physically exhausted but God allowed her to see something in me beyond my physical exhaustion. She mentioned that it was evident that I had peace. Here I was physically and emotionally exhausted from running back and forth to the hospital while still trying to maintain some sense of normalcy for the other five children at home, but God allowed this women to see beyond that. She saw something that I couldn’t fabricate. He allowed her to see that He was the one carrying me and that His grace is sufficient . As I encouraged this distraught mom, I in turn began to be reminded of what I knew to be true, God is faithful! I told her of my past experience in the nicu with baby number 5, I told her the lessons I learned, I told her this was working for my good and there was a purpose in all of this. I spoke to her from a sincere place, not from what I heard or read but what I had experienced during my previous seasons of difficulty. I experienced God in a powerful way which birth a greater level of confidence. A confidence that radiates peace even when my body is weary. At the end of the conversation a prayer was said, tears were shed, and hugs were exchanged. I walked away with a renewed strength for the journey because I was reminded. Difficulty is a thread that has been woven into my life but it has brought such a sweet return. Going through doesn’t feel good, it hurts and yes I have had moments of crying, feeling overwhelmed and being very emotional. I want my baby home with me and not in the hospital . But I cannot deny the beauty on the other side of suffering, and this time around, I am catching glimpses of beauty before the trial even ends. It seems like a contradiction, beauty for ashes? Very true, it’s my reality. Yesterday I celebrated 9 years of being a mother! It’s been quite a ride. Here I am sitting in a hospital room awaiting the birth of our sixth child. One more to add to the quiver, one more to crown me with the title, mommy! I have been in the hospital on bed rest for the last two weeks (story to follow). I have been in great spirit feeling encouraged but the day before Mothers Day I broke. The tears flowed and sadness overwhelmed me. why? I missed my children. I missed the younger ones slobber kisses. I missed their hugs. I missed the older ones going on and on about what happened in school. I missed their sweet smiles. I missed the noise that is inevitable in a house with five children. I missed making them dinner and hearing, “oh mommy this is even better than the last time you made it, or…this Is yuck, did you use a lot of coconut oil in this?” I missed smiling at the compliments or sternly reminding them they didn’t have to cook it so don’t complain. I missed their attempts at telling jokes and I missed making my laughs at the punch line believable. I missed the whispers and chuckles that I heard at night when they were supposed to be sleeping. I missed them more than I thought I would. 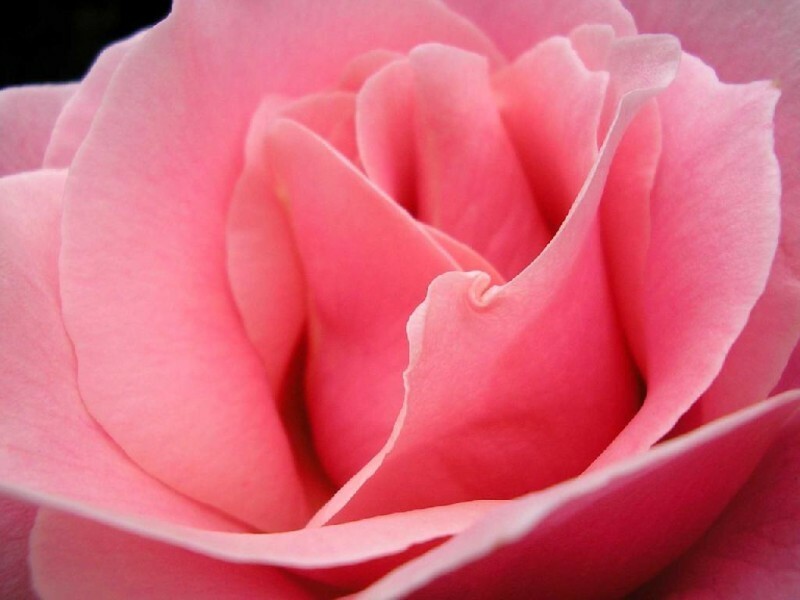 Now before I get carried away with being sentimental and looking through rose colored glasses, I recognize that the tears I cried before Mother’s Day were not for all of the moments with my Five rewards. I certainly didn’t miss the mad rush we have to make to the bus stop every morning while operating like a sergeant in the army. I didnt miss reminding them over and over again to clean up, the fights, the loads of laundry they created. I didn’t miss the way they wait til I get on the phone to try to engage me in conversation. No tears were shed for those moments. But hey like anything else motherhood is a package deal. And yesterday on Mother’s Day all five of them came to visit me with homemade crafts, poems,sweet words, and slobber kisses. It was a happy Mother’s Day indeed ! SOME DAYS I DONT WANT TO BE MOMMY! Its in these moments of desperation and feelings of inadequacy that I have to be reminded of the TRUTH. God is not asking me to be mommy of the year. He is not asking me to do this on my own. He is asking me to surrender it all to Him. He is lovingly inviting me to trade my weaknesses for His strength. When I do this, He alone will get the glory from the mighty harvest that comes from me being a godly mother. Ok. Pass me my mommy hat and by the way we are having chicken for dinner tonight. I must confess that I am addicted to prayer. Not because I am super spiritual but because I am human with many frailties. I cannot function and my days seem to fall apart without prayer. I really am a hot mess without it, ask my husband and children. There is just something about throwing myself at the feet of Jesus, telling Him all my unedited thoughts. In prayer I don’t have to tell Him what I think He wants to hear. I tell Him what I am really feeling, the good, the bad and the ugly. Then I take Him up on His word and ask Him to fix me. Fix the mess, the pain and the hurt. There are times when I just sit and cry but I am fully convinced that He understands the meaning of each tear. While the cause of my pain may not immediately go away, just being in God’s presence crying like a baby gives me a peace beyond my understanding. I leave with a confidence that it is going to be alright. I may not know how it will work out, but our time together reminds me that it will and all for my good. Then there are those times I run to prayer begging the Lord to tell me that I am not crazy for standing in faith even though I feel bullied by doubt and all his buddies. The times where the comments of others cause me to question if I am being too extreme, taking this faith thing a little too far. Ever been there? The times where I need to have the Lord comfort me and remind me that walking by faith will seem foolish to the world but it pleases Him, and in the end that’s all that matters. I also have times of carrying the burdens of those I love, rolling over in my head how to fix them and their situation. At times the burden leaves me paralyzed because I want to make it all better. Then I am reminded that while I have no power to fix anything or anyone, I can pray. I become even more confident when I remember that God hears my prayer and is able to change any situation, no matter how hopeless. So I come to God on their behalf and do what I should have done in the first place…PRAY! Then there are times where praise and adoration flow from my lips and I am overwhelmed with thanksgiving. The more I rehearse His goodness, the more I become aware of how awesome He is and I don’t want the moment to stop. I look for the pause button in these moments of sweet communion, hoping the phone wont ring and the children will remain asleep. But inevitably these moments of prayer have to come to an end, but the residue of praise remains. Yes I am addicted. I am not looking for a cure, just for more! How about you, are you addicted to prayer? How has prayer benefited you? I am bald but my baldness doesn’t define who I am. I got it. Today I embrace me, all of me. Laying aside the shame, the insecurities and I am choosing to begin the journey of being confident and joyous in who I really am, bald head and all. Today I did something that I didn’t think I would have had the courage to do before. I got up in front of a room of about 50 women and as the warm tears flowed down my cheeks I took off my wig and showed them ME . They didn’t laugh. They didn’t whisper and tear me down. Instead they cried. They cheered. They embraced. They praised God. They spoke life. THEY LOVED ME, the real me. This was a defining moment in my life. I took a stance against the enemy and my actions screamed at him, letting him know that I choose to no longer be bound by the shame he wants me to have. In that moment I unlocked some of the chains from my past that still had me bound and I CHOSE TO walk in another level of freedom that Jesus has already purchased for me. In that moment there was a greater level of death to the old me and birth was given to something new. I am not saying that I will never wear wigs again as I wait for healing to manifest BUT I now have a new perspective! I have always been overly concerned with what others think of me. I always have to put my best foot forward. I have to please. I have to be liked. Filled with pride. The same symptoms that lead to my very bald head. I began to loose my hair because I put too much stress on it with chemicals and weaves. When I first began to loose my hair, the thought of giving up chemicals was not even an option. Why? Because the real me of course was not good enough, not cute enough, no way could I let others see me in my natural state. Deep rooted insecurities birth from past experiences. Hear me when I say that this is not about whether or not you should put chemicals or extension in your hair. Doing these things pointed to a deeper issue FOR ME (this may not be the case for everyone). When I was told by a dermatologist to stop putting chemicals in my hair, I scoffed at the idea. Go natural and show everyone me, absolutely not. Driven by insecurities and pride I continued the vicious cycle of destroying my hair follicles until they shut down and well, I was left bald with no other option but to wear wigs. BUT MY GOD IS SO AWESOME. Through a chain of painful events, the healing process began. I have prayed and stood in faith believing the Lord to supernaturally restore my hair. Its nothing for God to just touch my scalp and have hair appear. However, I recognize that God is more concerned about me getting the lesson than the blessing. The blessing can be fleeting but once I get the lesson its lasting and can be applied to other areas of my life guaranteeing more victory. Unveiling my bald head today was necessary for my healing. It went so much deeper than taking off my wig. I was taking off the shame, the hurt from the past, insecurities, conflicting thoughts. I now have even more faith to believe the Lord for restoration of my hair because today inward healing took place and I rejoice! What is it that you have to take off for healing to begin? A new level of freedom awaits you when you do.